Under the Association of British Insurers Code of Practice for Motor Vehicle Salvage airbags and seat belt components in a total loss vehicle must not be re-used. In the USA, (the most litigious society in the world) there are laws that allow this to happen. Businesses undertaking this work must be correctly licenced, registered, trained etc. and as long as they follow the rules set down they are perfectly entitled to take a non deployed airbag out of an accident damaged vehicle and put it into a vehicle of the same age, make and model. Despite the statement in the code of practice, this is going on in the UK, but without the legislative support, training and regulation. It is high time some areas of the salvage and insurance industries met to discuss a number of topics, including airbags and seat belt components. i know that these discussions may not come to anything, but at least the two sides would be entering into a dialog that could produce other benefits for both sides. Who should initiate this, the BVSF, or MVDA, the ABI or some other body? Why don't all the members of the aformentioned trade bodies put pressure on their executives to look for ways of moving forward, adopting a regulated approach to the re-use of airbags that could be supported by the ABI and the insurers that would ultimately lead to the amendment of the Code of Practice? Who knows, this could even bring about fewer total loss settlements, saving insurance company money, but then that would be no good for the salvage industry as their supply of vehicles would fall. And the insurance industry would come under pressure from vehicle manufacturers through the repair relationships they are building together. But the environment would benefit, not as much raw material required to build increasing numbers of pyrothechnic devices, not as much damage to the environment as these devices are deployed as a car is dismantled and de-polluted, and if properly regulated, handled by trained technicians, correctly stored and fitted much increased health and safety in the motor salvage industry; and assurances that if the repaired vehicle is ever involved in another accident these life saving devices would do exactly what they are designed to do. Hmm, a conundrum, what do you think? Utter the words ELV, and many will immediately picture a scrap yard full of old cars that have failed, been involved in a heavy impact, or are simply a gutted shell. But this is only part of the story. The End of Life Vehicle Directive – 2000/53/EC (to give it’s full title) is a Europe-wide directive that was to be enforced in all member states by 21 April 2002. However, the UK did not bring the legislation into force until 3rd November 2003, and decided to take advantage of some flexibility within the directive so that the ‘last owner’ of the vehicle would be responsible for disposal of an ELV until the end of 2006. From 1st January 2007 this responsibility passed to the vehicle manufacturers bringing the UK in-line with other member states. The directive includes various targets including: environmental practices in the motor salvage industry, the prohibition of the use of various heavy metals in vehicles and the removal of various hazardous fluids and components in a safe manner. Additionally the directive seeks to promote and encourage the development of markets for recycled parts. The target causing most discussion is that 95% of a car (by weight) must be reused, recycled or recovered by 2015. This is leading to a lot of concern from many vehicle designers and manufacturers, as vehicles being built currently will not become ELV’s until after 2015 and so are subject to the target. Manufacturers have also had to provide the industry with all requisite dismantling information with particular emphasis on hazardous materials and have to use component and material coding standards established by the Commission to identify each individual part for recycling purposes. Currently there is a lack of supply of ‘pure’ automotive recycled material meaning that motor manufacturers are using ‘household’ recycled materials (plastic drink containers etc.). Vehicle manufacturers would, I am sure, much rather have components direct from the motor vehicle recycling market than having to go out into other areas for their recycled material. One area of vehicle recycling that is already well developed is scrap metal. Currently, the scrap steel price is hovering around £95 per tonne, resulting in some Authorised Treatment Facilities buying ELV’s from the general public to realise the residual value left in each scrap vehicle. Recent developments in steel recycling have been driven by China’s growth and with business attempting to satisfy demand, I do not see this market shrinking. All signs point towards an increase in the value of scrap steel over the next few years. This is something insurers should consider as they give away their low value cat A and B salvage without realising the full residual value of the vehicle. Concern remains over a number of areas both within and outside the ELV directive. For example, work must be done to develop effective recycled marketplaces. This has already started in the form of ongoing research, supported by the European Commission and many member states to investigate and develop recycled marketplaces and recycling processes in order to reach the 95% target. The majority of this work is occurring outside of the UK, mainly because other member states have more experience of ELV’s due to the earlier date of enforced legislation. The Commission has recently reported on the ELV process, specifically completing an impact assessment on the targets contained within the directive. It has concluded that there is no need to change these targets, despite fears that the current target of 95% by 2015 is unattainable. The report highlights that any reduction in the targets will end the development of technology to treat the waste and that confirmation of the 2015 target will assist in removing current blockages to innovation. The assessment goes on to support the ELV Directive because it has triggered technological development in ELV treatment and stresses that continued development of treatment technologies will bring substantial environmental benefits. The report emphasises that further support of technological development is still necessary and the Commission will encourage exchange of best practices between member states. Additionally, member states are now obliged to report on rates for reuse, recycling and recovery from 2006, with the results to be published by the Commission. As the worldwide vehicle market expands over the coming years environmental concerns are only going to increase, leading many areas of the world to follow the example set by the European Commission. To demonstrate the scale of the problem, it is anticipated that there will be more vehicles scrapped in the next 23 years than in the previous 47. It doesn’t stop there though, there’s also the potential (when the after sales markets are included) for over 9 billion batteries, 54 billion tyres and 13 billion pyrotechnic devices to be scrapped between now and 2030. 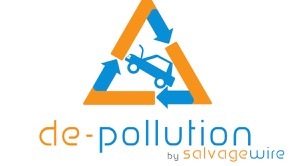 The EU target for motor vehicle recycling is 95% of the vehicle must be recycled by 2015. Will we ever achieve this target? The Eu think so, their impact assessment published in January of this year supports the 95% target, even though there is no technology capable of recycling this level of recycling. The EU states that the support of the target will encourage the development of technology and the investment required, and they also say that they will support the exchange of best practice between member states. 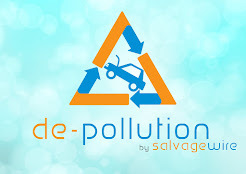 Come on, who is going to invest millions of Euros in developing a process to recycle vehicle components with no guarantee of a marketplace, and then be told to share their development with other member states - thus diluting their investment? The EU needs to go and create the marketplace for recycled material, the research and development will then follow and production will satisfy the demand created. Over the past few weeks, as I have been travelling the country talking to salvage operations throughout the UK I have heard more negativity than over the past few years. Most grief is targeted at the ever increasing red tape and compliance issues being forced on the industry by Local, National and EU legislation, with the Environment Agency taking most of the flak for their attitude and insistence on doing things by the book. Illegal operators are high on many peoples agenda, why are the EA being so hard on compliant, registered and licenced operators but not forcing the illegals to stop or legitimise their operations. Surely this should have more priority for the benefit of the whole motor salvage and recycling industry. In some areas enforcement of Hazardous Waste Legislation has become a major issue, but this has not been raised elsewhere - indicating lack of consistency within the EA. I am sure we all agree that proper handling, de-pollution and recycling of vehicles is something that the whole industry needs to guarantee, and the illegals are obviously not taking that course, but it does appear a little disingenuous to blame the EA for all the problems. This is an issue that has an impact throughout the industry, and I believe that it is the industry that needs to take a stand on this. Are you a member of the BVSF or MVDA? What are these industry bodies doing to stop the illegal activity? Could they do more? I do not know the answers, hopefully there are people out there who do know the answers and can enlighten us all. If you are a member of these organisations, when did you last speak to them, or write to them asking them what action they are taking to force illegal operators from the business? If you haven't done this recently, compose a letter or e-mail and send it to them. It would be good to see the reaction. Have a good week, in and out of the yard.